Average overall ratings - Based on 384 reviews. 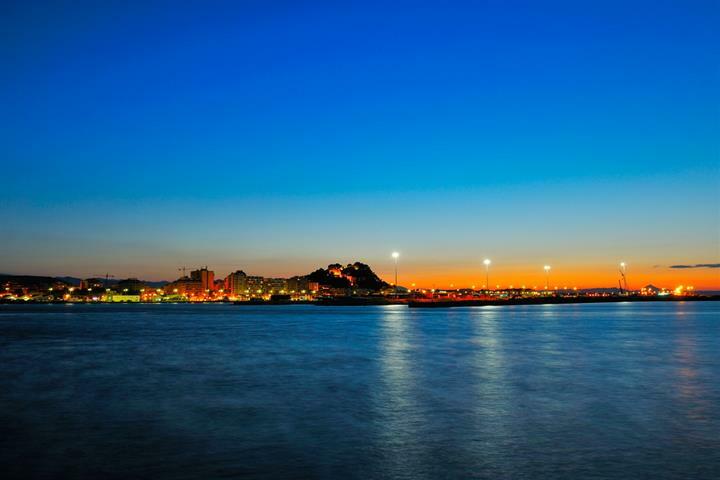 Denia is a delightful cosmopolitan town located along the Mediterranean coastline, where the sun shines almost all year. Its climate of mild temperatures and its 20 kms of sandy beaches and rocky coves makes Denia an ideal place for family beach holidays. Situated 110 kilometres from Alicante airport, (approximately 1 hour 20 minutes) and 95 km from the city of Valencia. The town faces north-east, looking out across the sea towards the Balearic islands. Denia has a sophisticated infrastructure, with a marina offering 546 moorings and a full range of services. The town sits at the foot of a hill crowned by a castle, which was the residence of the erstwhile Marquis of Denia; of note are the towers if Mig, Galliner and Carsell. The city has well preserved ancient walls and bastions. From the hilltop esplanade there is an excellent view of Denia and its surrounding countryside. Among the monuments in the town worthy of a visit are the 18th-century church of the Asunción; the 17th-century Atarazanas (dockyards); the cloister and church of San Antonio and the 18th -century, neoclassical town hall building. Just outside the town you can visit the hermitages of the conquest- Sant Joan (gothic), Santa Paula and Santa Lucía (gothic), constructed in the 14th and 15th centuries, and also the Torre del Gerro (17th C.) located on the cliff next to the cape of San Antonio. 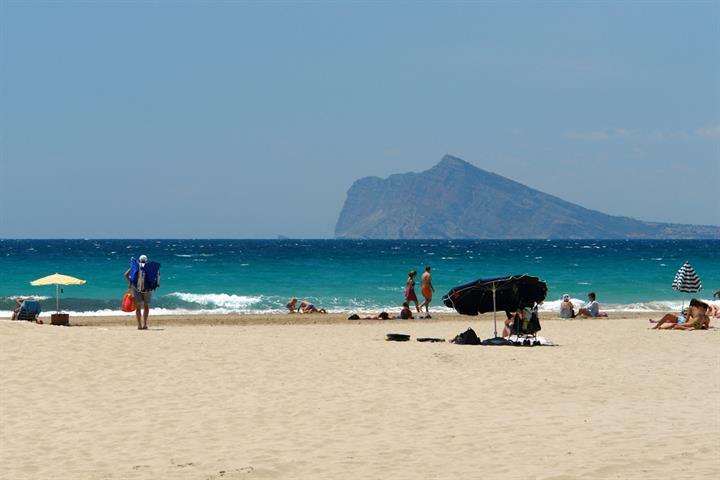 Denia enjoys almost twenty kilometres of coastline. To the north of the town, there are beaches of fine sand and shallow waters, such as Les Marines, LAlmadrava, Les Deveses, Les Bovetes and els Palmars, To the south lie a series of small coves along the rocky coast, known as Les Rotes, which is a paradise for fishermen and divers. Denia lies in a fertile plain, backed by mountains. The Montgó Mountain, which separates Denia and Javea, is the major landmark of the area. Denia offers a variety of water sports, including: sailing, windsurfing, diving, fishing, rowing, and swimming. For those who prefer land to sea, there is also an extensive range of activities to choose from: mountain climbing, hang-gliding, mountain biking and hiking. Denia has its own 18-hole golf club, located very close to the town, the Club La Sella was designed by José Maria Olazabal. Further courses can be found at Oliva, Moriara, and Javea. There are many welcoming restaurants along the promenade facing the marina. The marina itself has a modern commercial area where you can dine overlooking the moored yachts bobbing in the water. It’s possible to take the ferry to the Balearic islands directly from the port in Denia. The local cuisine of Denia is typically that of the Costa Blanca, which combines delicacies from both land and the Mediterranean Sea. Many civilizations have lived in this area (Celts, Iberians, Greeks, Romans, Muslims), all of which have all left their mark on the gastronomy. Whilst in Denia we recommend you try the local wine selection on offer, especially Jalon wine a which is of high quality with a lovely bouquet. Denia enjoys a typical Mediterranean climate, with cool sea breezes in summer and protection by surrounding mountains against the cold North winds in winter. The area averages nearly 3,000 hours of sunshine each year and the average temperature easily exceeds 20 degrees. The pretty town of Denia with its hilltop castle, Montgo mountain and chic marina is a wonderful beach resort to explore by bicycle. Walk through Denia's streets immortalised by writers and in Hollywood movies to enjoy a little taste of history. 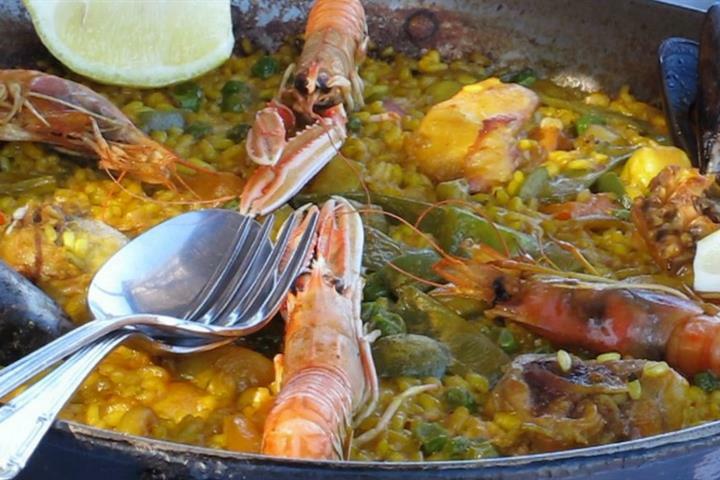 Succulent red prawns, fresh fish, colourful paellas and Michelin-star cuisine courtesy of Quique Dacosta are among the gourmet delights in Denia. Golden sandy beaches next to the shimmering turquoise Mediterranean act as a magnet for many holidaymakers in Denia. The Costa Blanca on Spain's eastern coast is the ideal place to stay if planning a holiday, so we show you 5 great things to do here!